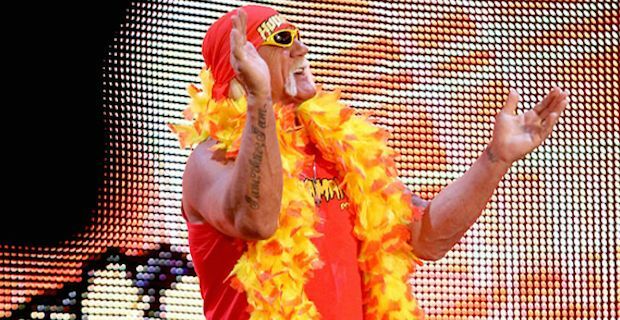 All you Hulkamaniacs out there, brace yourself for the return of the legendary Hulk Hogan to the WWE. He will mane an appearance on the final Monday Night Raw of the season before WWE Summerslam and will no doubt play his part in ramping up the anticipation levels for the biggest wrestling event of the summer. The Hulkster announced his return via a tweet that read "I will be at RAW next week in Portland Oregon brother HH". His participation also coincides with his 61st birthday so there is a strong possibility of a storyline revolving around birthday celebrations for the WWE hall of Famer. Hogan signed a new contract with World Wrestling Entertainment back in February of this year and besides a couple of Raw appearances and a Wrestlemania interview spot he has mostly been promoting the brand around the world. Hulk Hogan is arguably the greatest wrestler of all time and can take a large share of the credit for bringing professional wrestling into the mainstream thanks to his no nonsense talking and high octane wrestling style. During the 80s and 90s kids everywhere would try to recreate Hogan's poses and repeat his catchphrases word for word.